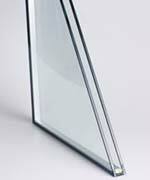 Sear and Cowen Glass & Glazing Ltd can supply and fit sealed glazed units in various types of glass. If you need brand new double glazed units for new window frames or to replace broken or misted up windows, please let us know your requirements. We can supply and fit clear, patterned, Georgian barred, leaded and gas filled units for replacement of damaged units or for new frame fitment. If you require supply only, that is no problem. Our sealed units conform to BS EN 1279 & part L / Document L For glazing. We supply retail and trade and we would be happy to quote for any order. Units can be supplied with any air gap from 5.5mm to 19.5mm thick with any size and thickness of glass.